It has become a longstanding tradition that our good friends from Hong Kong, John and Sandra, join us for Christmas Day lunch; no matter where we are in the world, they always manage to make it for our Roast Turkey and Christmas Pudding ritual that lasts all day–and well into the night. It has also become a custom for them to gift us some of the most mode-designed, innovative and groovy kitchen accessories and tableware with a large part of our collection of platters and serving bowls coming from them and they always manage to surprise us with something new and avant-garde. Last Christmas they managed to outdo themselves giving as a chopping board and cheese knives that I have used more than anything else at our table. 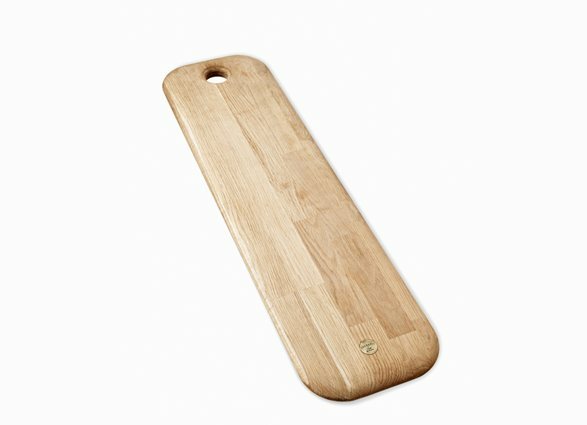 This is no ordinary chopping board, and part of the UK design firm Tom Dixon ‘Eclectic’ collection and is indeed quite unique and beautifully made out of solid oak with soft curved edges and is long and narrow. Actually, it is called “Chop Long” illustrating its narrowness which just happens to be perfect for our relatively narrow ‘refectory style’ table and fits conveniently down the middle. 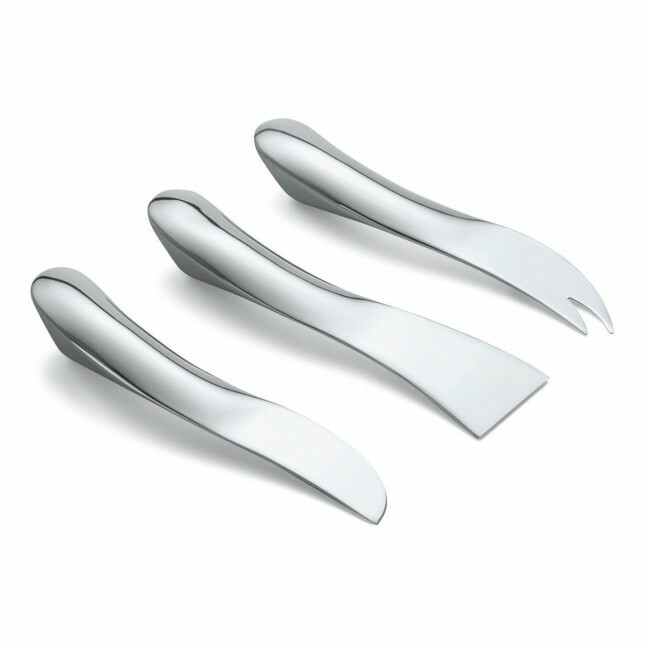 Further to our brilliant cheese board, John and Sandra gave us a most intriguing set of cheese knives, designed by Jan Philippi and have a wonderfully futuristic look and feel about them and people always immediately comment on them. Moreover, they are wonderfully functional and I am use them religiously. I know Christmas is a long way off but I thought I would share all this with you now as these two fantastic pieces would make a brilliant gift for anyone who enjoys entertaining at home and the Tom Dixon Chop Long board an absolute must-have for any kitchen. And a big thank you again to John and Sandra, I wonder what they have got for us this Christmas? !